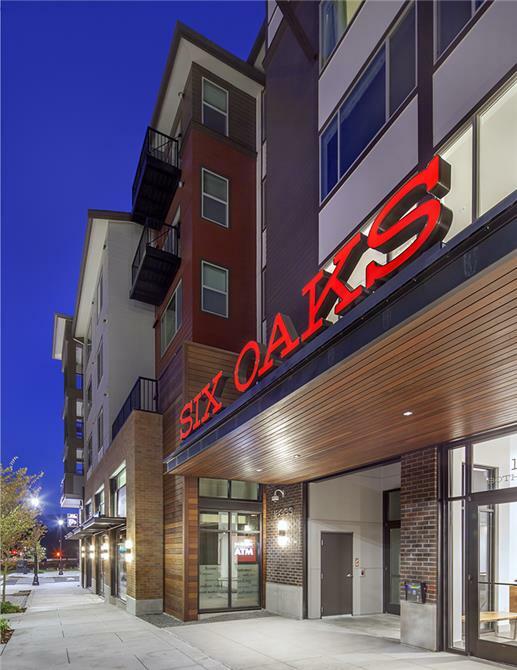 Getting its name from the six 85-foot-tall old-growth red oak trees preserved and integrated into the design of the site, Six Oaks is part of Bothell Landing's reincarnation. 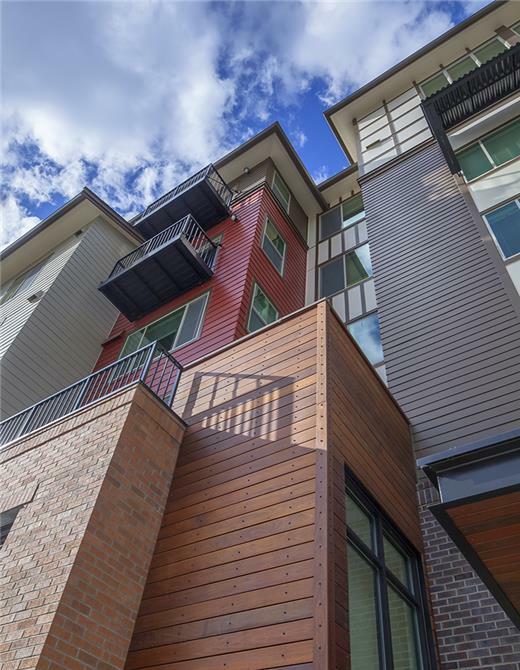 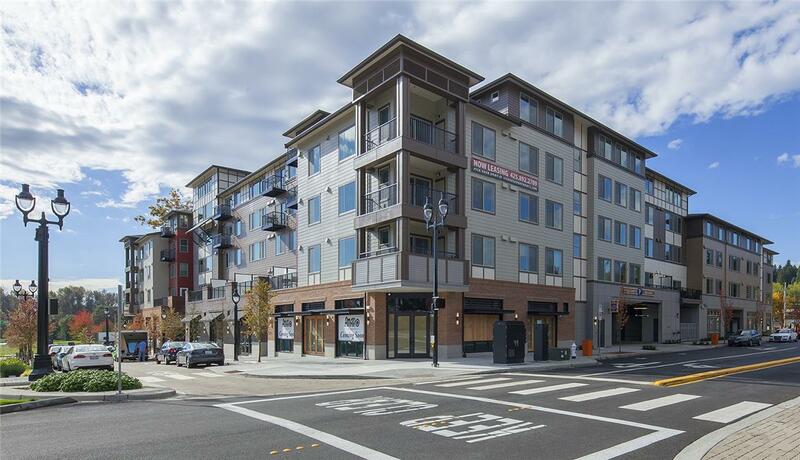 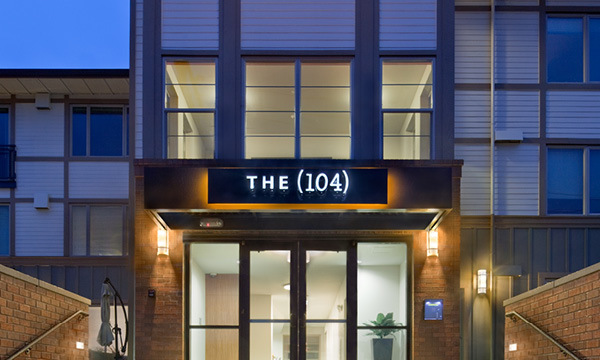 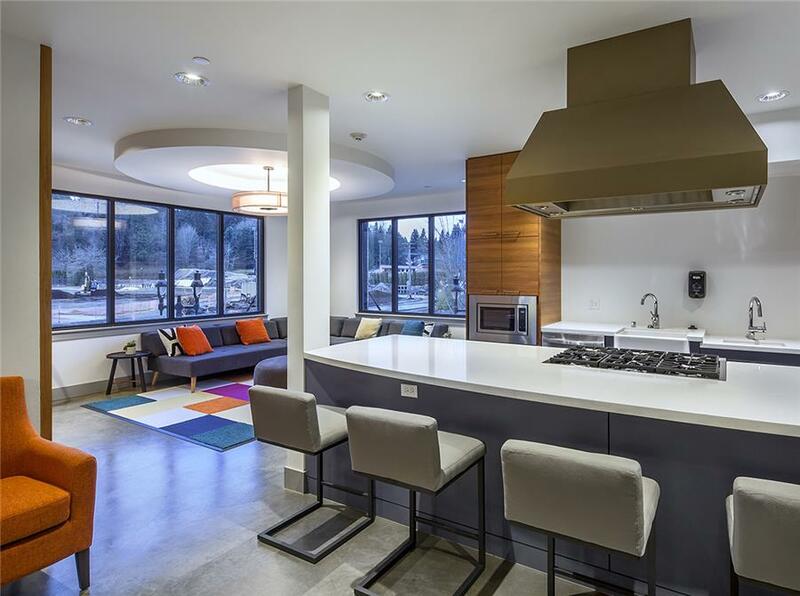 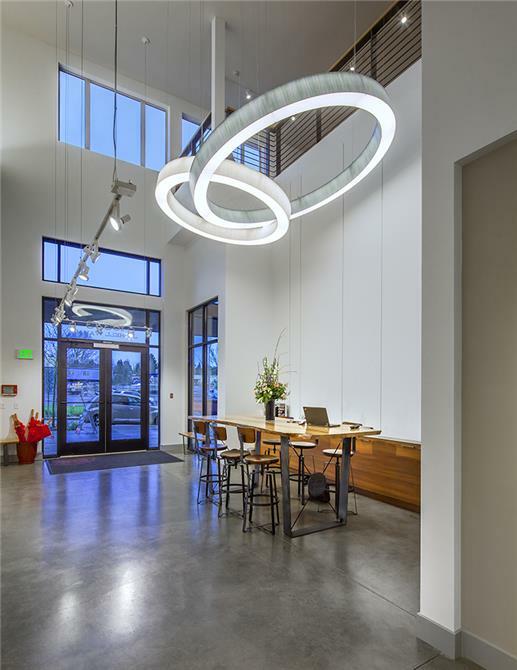 This mixed-use apartment community is walkable to downtown Bothell's amenities and nearby institutions, and commuter-friendly to the region's top employment centers. 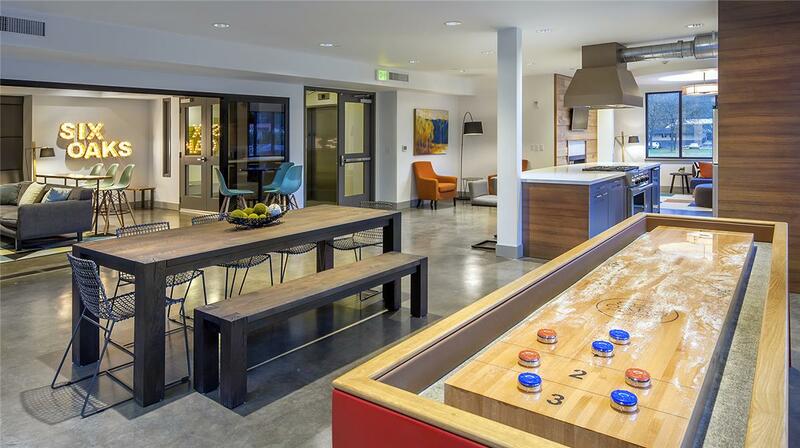 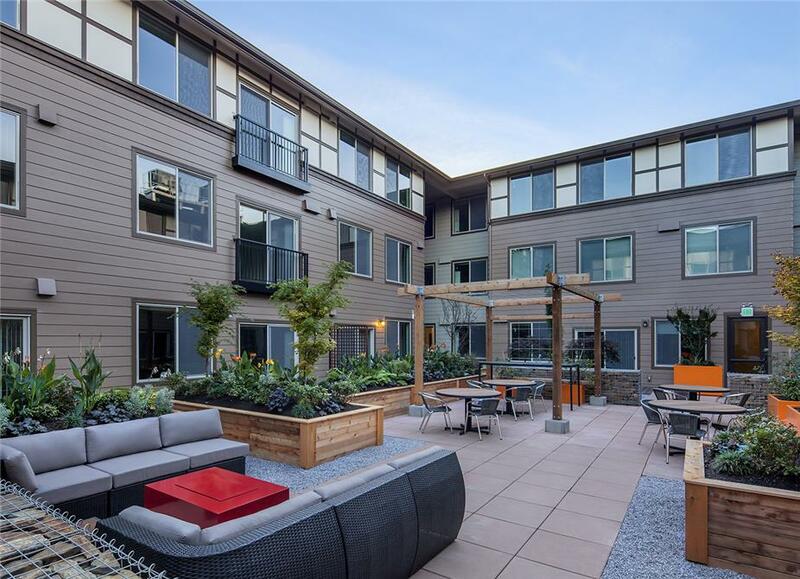 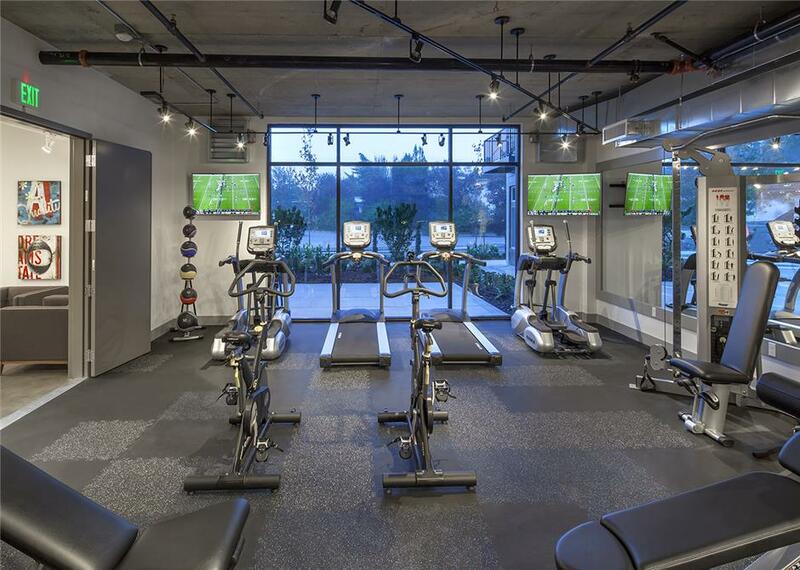 The highly amenitized project has a state-of-the-art fitness center, resident's lounge, zen courtyard, bike workshop room, bocce ball court, outdoor fireplace, dining terrace, and multiple gathering spots. 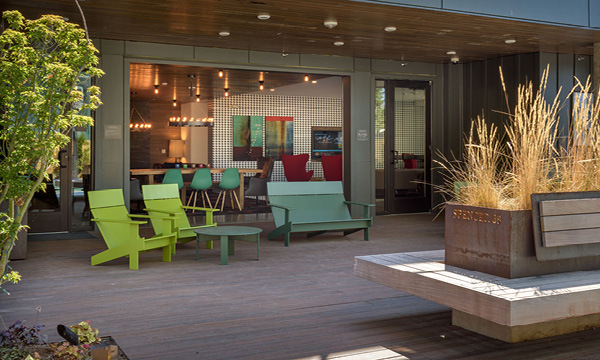 Eight trees were repurposed for on-site community furniture, and a rain garden captures stormwater runoff to irrigate native, drought tolerant plants. 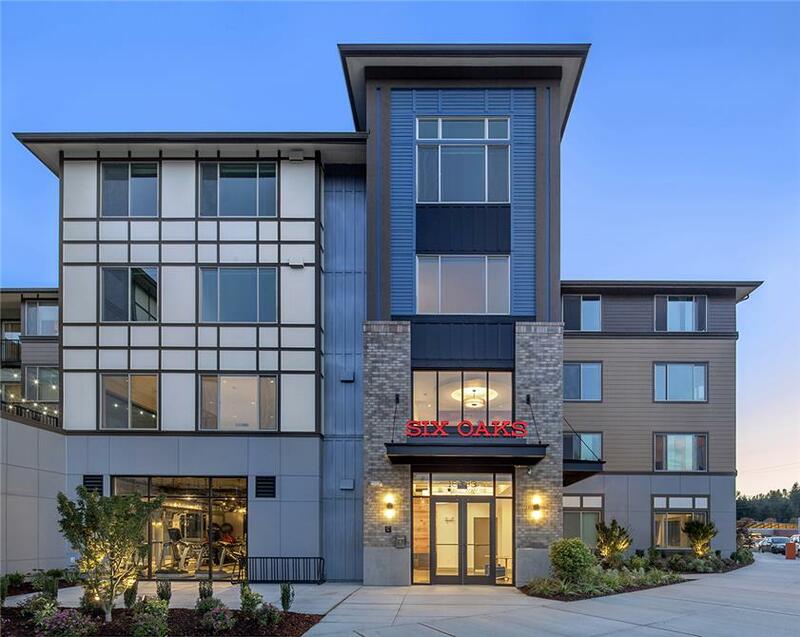 Other sustainable design elements include operable, oversized energy-efficient windows for passive solar gain, and transportation-friendly options including on-site bikeshare, bike storage, future electric car charging options, and steps from the Bothell Park and Ride transit hub.